He was the head coach at app state…got fired. Yeah, but I don’t think that qualifies as a decent situation. He actually won some games there. That is a miracle of biblical proportions. He competed in a conference with similar opponents. It counts. Considering that, starting with Press Maravich in the 70s (basically the modern era), they are 628-655, (and he was over .500) it ain’t the greatest situation. Not a great situation, but a fair one. To get something better, he needed to win where he was. He wasn’t in a tough league either. My favorite Appy basketball stat: Their second winningest coach ever? 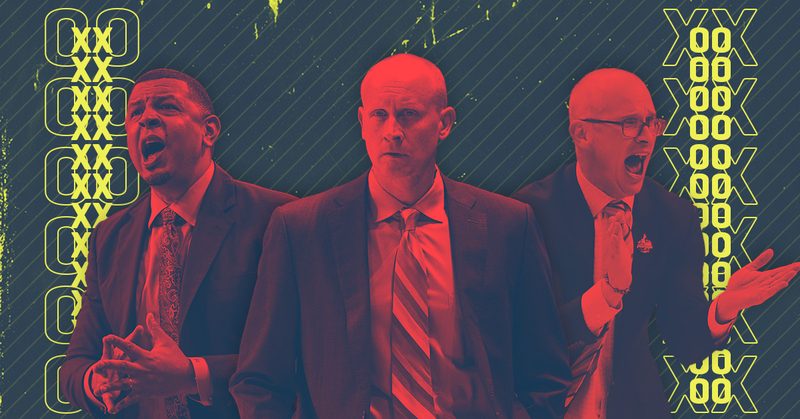 In 9 seasons with no coach at all they won 72.3% of their games (1919-20, 1925-34). Maybe they should try that again. Fancher was the last winning coach they had. They should have hired him again rather than Fox. Press Maravich had a bad record at ASU. His heart wasn’t in it. He was only there 3-4 years. They’ve had 2 coaches who’ve won big: Bobby Cremins and Buzz Peterson. They were the coaches who led them to their 2 NCAA appearances, Cremins in '79 and Peterson in '00. ASU is a tough job, much worse than it was when Buzz and Cremins won there. They have no nearby rivals in their conference, there are few conference opponents anyone has heard of, and northwest NC is not a basketball hotbed. When I saw the previous poster cite ASU’s record starting with Maravich, I thought it was a mistake. It sounded too good. Buzz Peterson was 51 games over .500. I’d forgotten that, if I ever knew it. One-time UAB and Indiana coach Mike Davis leaving Texas Southern to become head coach at Detroit Mercy. Beilen will remain in Ann Arbor after interviewing with the Pistons. 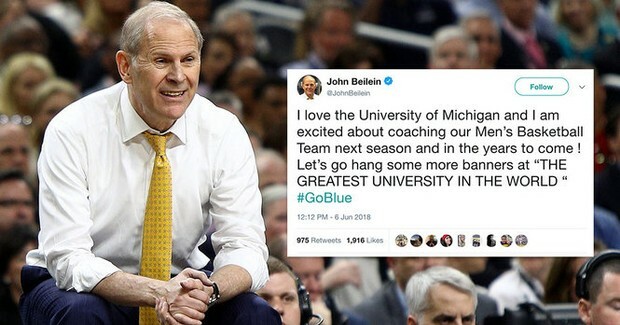 Beilein will remain the coach of the Wolverines. Texas Southern has hired former Nevada associate head coach Johnny Jones, per reports. Jones spent five years as the LSU head coach before joining Eric Musselman's staff. This is going to get really, really ugly. That’s a very challenging place to win. It’s not as bad as being the baseball coach at St. Peter’s. They were winless in 2017. They were 0-39 in 2018 before rallying to win 2 games down the stretch. They finished 2-42, including winning their finale. True. Relatively new CSU AD Chris Zorich (former Chicago Bear DT hired in May) also announced a new women’s basketball coach - Misty Opat. And FWIW, 2019 CSU men’s hoops commit SG Colin Reed announced the reopening of his recruitment on the same day Irvin revealed as the new men’s coach. …2019 CSU men’s hoops commit SG Colin Reed announced the reopening of his recruitment on the same day Irvin revealed as the new men’s coach. Should we give him a call? Don’t we need another guard?